"Truly I tell you, just as you did it to one of the least of these who are members of my family, you did it to me" (Matthew 25:40). We seek to reach to our brothers and sisters in need. We have annual and regular opportunities. 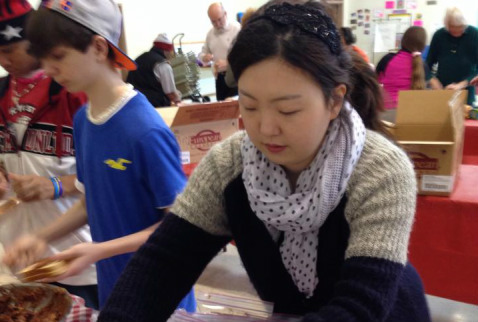 Trinity Soup Kitchen: Each February our congregation serves lunch to men and women who are homeless in Atlanta. This is a wonderful outreach to Orphans in Kenya, started by Michael Agwanda, a member of North Springs.This ministry currently cares for over 180 orphans and offers Short-term Missions trips each year. Click here to go to Life For Children's website. 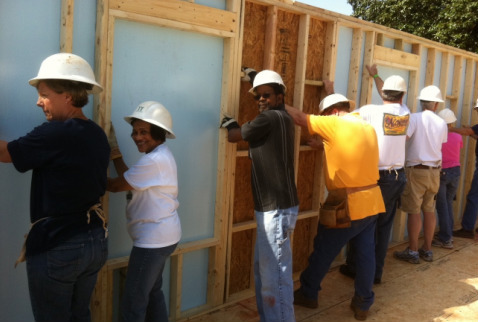 Habitat For Humanity: Each Spring, we participate in a Habitat Workday. 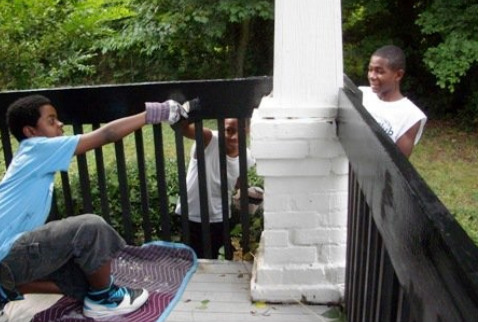 Habitat is a ministry that helps provide affordable housing to families in need. 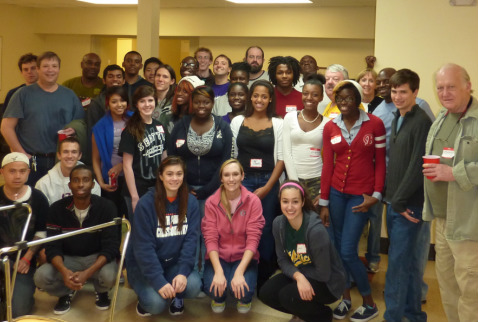 Summer Mission Trip: Each summer, our Youth take a week-long summer mission trip. Thanksgiving and Christmas Baskets: In November and December, we will collect items that families will need to cook Thanksgiving and Christmas dinners. Families are identified through the Community Action Center in Sandy Springs, GA.
Angel Tree: At Christmas, church members will purchase gifts for parents struggling to buy Christmas presents for their children. This is coordinated through the Community Action Center.